Nikola Tesla was an engineer, physicist, and inventor who made major contributions to modern science and technology. Although he’s less well-known than many famous inventors, Nikola Tesla’s inventions and accomplishments were key to the age of electric power. 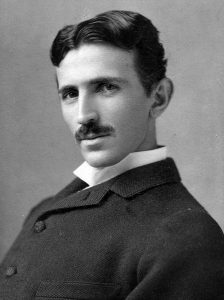 Nikola Tesla was born in Smiljan, Croatia on July 10, 1856. Nikola’s father was a priest in the Serbian Orthodox Church. His mother managed the family’s farm. According to legend, Nikola was born during a lightning storm. In 1863, Nikola’s brother Daniel was killed in a riding accident. Seven-year-old Nikola reported that he began seeing visions at this time. He described these as flashes of light often followed by inspiration or solutions to problems. In school, Nikola was so talented at solving mathematical problems that his teachers often accused him of cheating. He went on to study math and physics at the Technical University of Graz. Despite being a great student, Nikola eventually left school, moved to Paris, and got a job repairing power plants with the Continental Edison Company. Two years later, Nikola immigrated to America, eager to meet Thomas Edison himself. In 1884, he was hired as an engineer at Edison’s Manhattan headquarters. According to Nikola, Edison once promised him $50,000 if he could come up with an improved design for his direct current dynamos. After solving the problem, Nikola was told that this promise had been a joke. He quit working for Edison soon after. Nikola then found two investors and founded Tesla Electric Light and Manufacturing. He filed several electric patents and assigned them to the company. Unfortunately, the investors decided to focus only on supplying electricity. They took Tesla’s patents and founded another firm. Nikola was forced to work as a ditch digger for $2 a day to make ends meet. Fortunately, in 1887, Nikola met two new investors who agreed to support the formation of the Tesla Electric Company. There, his most important work began. At his new laboratory in Manhattan, Nikola Tesla developed the alternating current (AC) induction motor. This solved many problems that were facing other designs. He devised a system of generators, transmission lines, motors, lighting, and other circuitry that made AC possible as an alternative to direct current (DC). These designs would have made Nikola’s fortune, but he sold seven patents related to AC to the Westinghouse Company for an upfront payment and royalties. 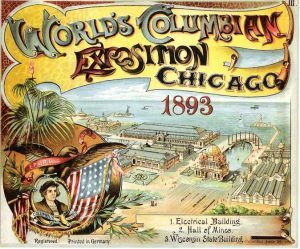 Nikola’s system was used to power the massive Chicago Columbian Exposition of 1893. It was then used in a power generating plant at Niagara Falls. It sent electricity all the way to New York City, and hydroelectric plants were soon built around the world. 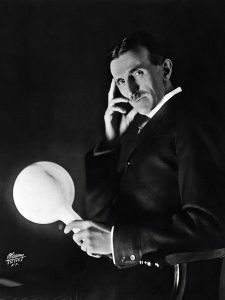 Nikola also invented a “magnifier coil” that raised electricity to much higher frequencies and voltages. He discovered that these currents could produce electromagnetic waves. 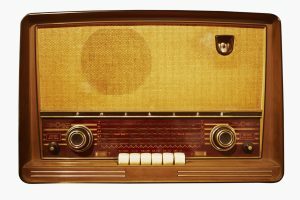 Many inventors contributed to the development of the radio, but credit went to Guglielmo Marconi, who was awarded the Nobel Prize. In 1943, after Nikola’s death, the Supreme Court recognized that Marconi’s invention was based on some of Nikola’s own patented inventions. He invented the first electric clock, a radio-controlled boat, a way to tune electric circuitry (that we still use to “tune” TVs and radios), one form of spark plug, and more. Nikola held nearly 300 patents. He also dreamed of creating a system that would allow wireless communication around the world, including mail, news, and even pictures. Nikola Tesla was never married and had no children, choosing to focus on his scientific work. However, many women were said to be “madly in love” with him. He wasn’t often social, but Nikola did develop a close friendship with the writer Mark Twain. 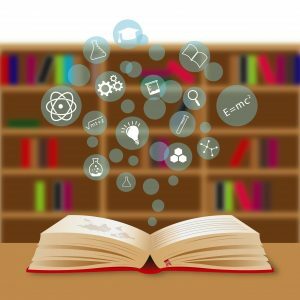 He had a photographic memory, memorizing entire books and speaking eight languages. Nikola was also known as eccentric. He claimed to get no more than two hours of sleep a night and followed a very strict schedule each day. He was also obsessed with the number three and with washing (he was a germaphobe) and had odd phobias. For instance, he was frightened of pearls and wouldn’t speak to women wearing them. Scholars say that today, Nikola would probably be diagnosed with obsessive-compulsive disorder (OCD). Despite Nikola’s genius and his essential contributions to society, he was not a savvy businessman and never made much money for his inventions. He lived his last decades in a New York City hotel. Nikola continued working on new inventions, but his mental health was fading. 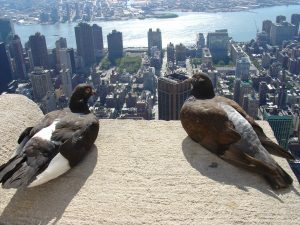 He often fed and claimed to communicate with the city’s pigeons. Nikola Tesla died in his hotel room on January 7, 1943. He was 86 years old. Many people feel that Nikola never achieved the fame he deserved, but his legacy remains today. The airport in Belgrade is named after Tesla, as is the world’s best-known electric car. And the magnetic field strength of MRI scanners is measured in Teslas. Also, the AC system he improved continues to transmit power around the globe.